The Actors’ Gang brings social studies to life. 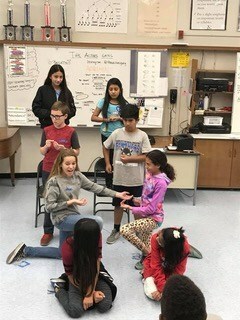 After studying Mesopotamia for 6 weeks, Natalie Gualtieri’s 6th grade social studies class stepped out of their classrooms and onto the proverbial stage when The Actors’ Gang (TAG) visited Culver City Middle School. Four company members from The Actors’ Gang (TAG), who work as teaching artists with TAG’s Education Department, integrated themselves into CCMS’s unit on Mesopotamia. After the students clued in the instructors with more details on Mesopotamian history, they broke up into four groups to create living tableaus about each subject. One instructor guided each group to write, cast and rehearse a vignette about their subject – on the spot. Then each group presented their tableau to their fellow classmates, who acted as audience members and critics. The students who were in the audience made observations about their classmates and the material they were being taught. Between the students teaching, acting, watching and providing feedback, Mesopotamian history was imprinted and reinforced with these students in ways that go beyond what they can learn from books. 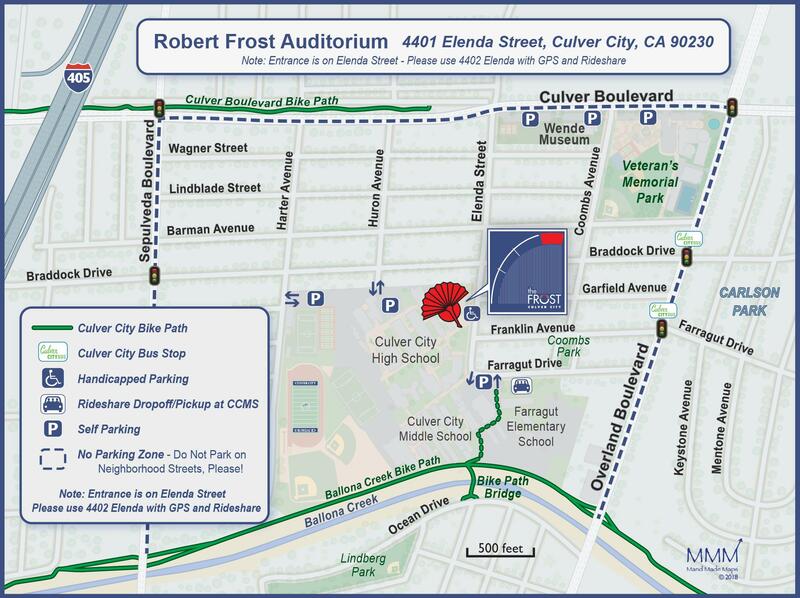 The Actors’ Gang is part of Culver City Unified School District’s Front & Center Theatre Collaborative, which provides CCUSD with TK-12th grade theatre arts curriculum. 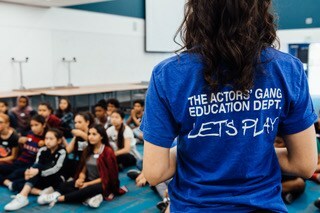 The Collaborative is a unique partnership that brings together teaching artists from professional theatre groups with local funding partners to create an unparalleled collective impact – the highest concentration of theatre arts programming per student in any Los Angeles County school district. 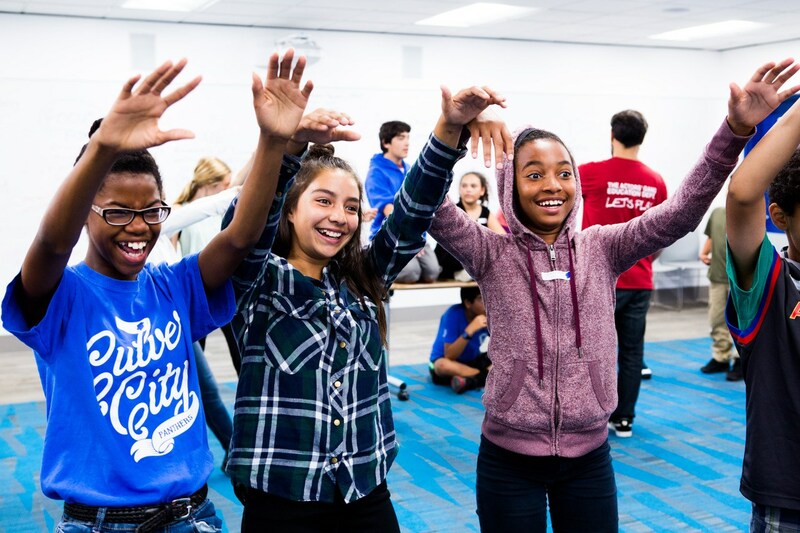 As one of the Collaborative’s six arts partners, The Actors’ Gang Education Department provides free after school programs to all five elementary schools and CCMS, and in-school programs at CCMS, CCHS and Culver Park. Through this program, The Actors’ Gang works with every 6th grade student at CCMS, including the Spanish immersion students who are taught in Spanish. Each class receives two visits per year from The Actors’ Gang. The Actors’ Gang will be back in the spring to bring another period of history to life with the 6th grade, this time in Ancient Greece. For more information, visit CCUSD Front & Center Theatre Collaborative and The Actors’ Gang. Join the CulverCreates community on Facebook and Instagram, and post your own photos of CCUSD artistic endeavors, tagging #culvercreates.